CHINESE WHITE TEA! ITS USES AND TYPES! It should be mentioned that Chinese white is quite of limited occurrence and, notwithstanding how it sound, the main reason is export origin of general mass of white tea. Though tea lovers adore White Chinese tea profits, despite the fact that it’s been definitely a mystery before for the whole world, expect Asia, for a long time. Today Chinese white tea occupies strong positions on tea market and practically everyone, who is somehow connected with it, praise medicine properties and exquisite flavor of it. So, what’s about the Chinese what tea itself? Strange is it may seem again, but Chinese white tea is occasionally substituted for the group of green tea as a subdivision. Downy white hair is covering its surface and it’s produced as slightly fermented. White’ teas harvest is coming on earlist spring, when it’s still cold, and then it’s bushes lose their scales on apexes of the branches. Then we can discover that they are fluffy just on downside of leaf buds. That’s why, you see, such a delicacy can be picked and worked up only with great attentiveness, the most high among another teas’ procession. Coming out leaves as the buds shouldn’t oxidize, whatever happens. Consequently, the buds after collecting are dried by diverse means – sunlight or being stoved, the main conditions here are the enough low temperature and proper ventilation. Cellular oxidation is what oolong, pu-erh and black teas are goes though to achieve specific color, fragrance and general taste in opposite to Chinese white teas which are lack of this procedure normally. 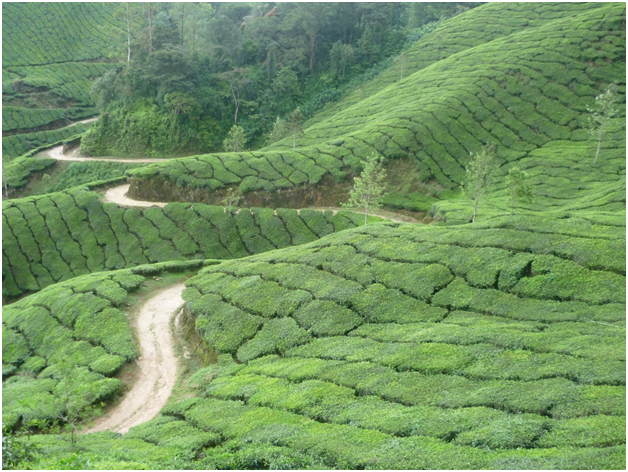 That’s why white teas are considered to be the most precise in taste to original fresh tealeaf from the brushes. 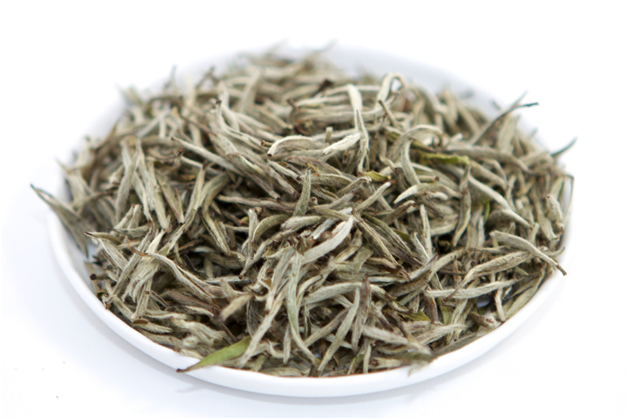 Silver Tip White Tea – in Fujian province it takes its origin, to be precise – in Fuding and Zhenghe areas. They say, and most tea lover state also – it’s the first-class white tea. While manufacture, they plucked solely and only being fully-developed. Acerose buds are furnished with silver fur, so their name is “silver tip white tea”. It’s also intriguing that this Chinese white tea is normally considering among teas as “the beauty”. Sometimes you can came across such a description: “pure like snow, green like dream, white like cloud, aromatic like orchid”. And it often goes like this: while brewing each of buds aesthetically stretches in a cup like a spring bamboo after rain. 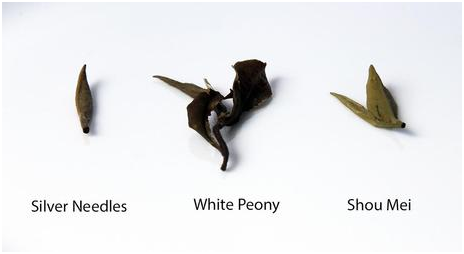 White Peony Tea – well-known as “Pai Mu Dan”, this variety is made of the remains after silver tip white tea picking. The fact is some buds and tealeaves are still present afterwards. And it’s still strong though gentle and sweet at the same time. In comparison with younger beautiful sister, this one is also blacker and its aroma is more intense. Their kindred are marked, in addition, by original sweetness. Gong Mei – this the third grade among the white teas, but not lees solid. The material for this one is provided by tealeaf from Small White or Xiao Bai tea trees. 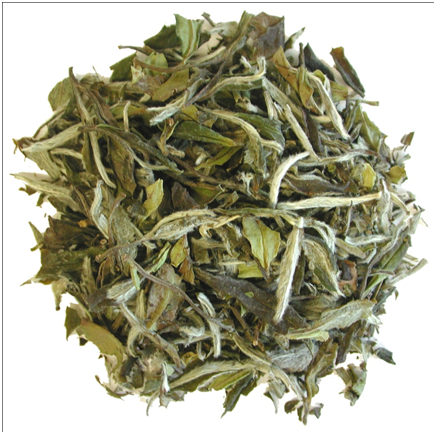 Shou Mei – this is a funny one, thus consists of upper leaves and tips of fruity furry (at that precise moment) trees. People say that its taste has much in common with the oolong for a stronger, than others white teas, flavor. This tea is occasionally had a more intensive tinge of color, then White Peony, and picked after this last one, so it’s the fourth grade of white teas. Not a long ago, White Chinese teas came to America to flood tea lovers with brand new tastes and health benefits and analytics say that these kinds of tea products will be a sufficient trend very soon. So, be wise and keep drinking your tea, and don’t forget Vietnamese one.